I'm not gonna lie, I like a good burger now and then. But I don't eat red meat and very rarely eat chicken or turkey burgers. Partly for humane and environmental reasons, and partly because meat is just really expensive most of the time. 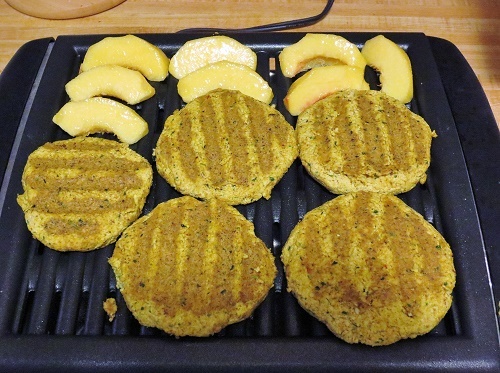 And while there are some great vegetarian/vegan substitutes for a heavy, meaty burger (like my Vegan Red Lentil and Quinoa Burgers), sometimes you want something you can slap on a grill and get a similar texture and flavour to real burgers. 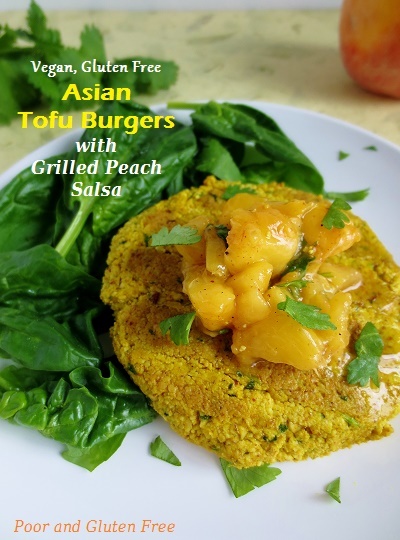 Well every month my gym posts recipes up on their bulletin board and September's recipes included an Asian tofu burger. 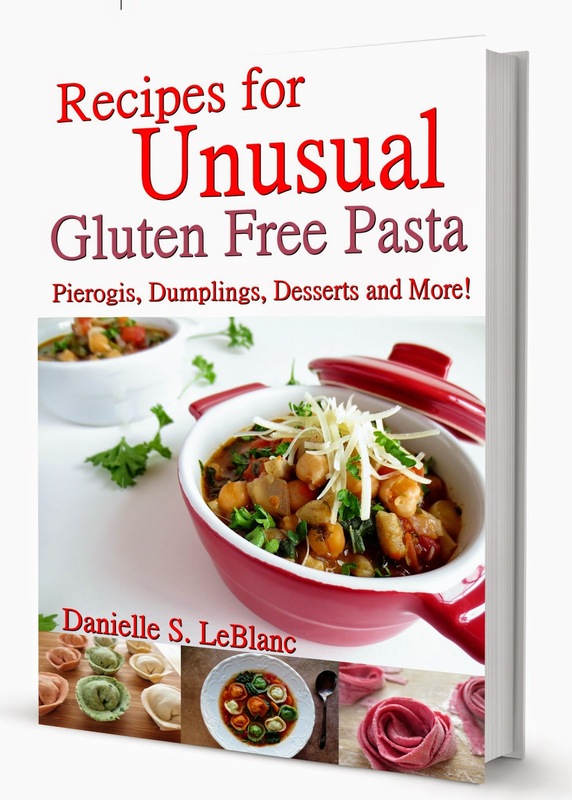 The picture looked fabulous so I grabbed a copy and made a few adjustments (of course, because you know I can never do something simple, like just make a recipe the way it's written...) and they turned out fantastic! I've eaten them both as burgers in a gluten free bun, or as lunch on a bed of greens as a sort of salad patty. Both ways are awesome. They hold together well and they're a solid burger - the texture isn't squishy, like some vegan burgers. Packed full of protein and organic tofu goodness, these burgers make a really excellent substitute for meat. The grilled peach salsa is delicious addition, and if you happen to be allergic to fresh raw peaches (as I am, thanks to Oral Allergy Syndrome), you might find grilled peaches more palatable, as the heating process helps to destroy allergen proteins. OR, substitute canned peaches for grilled peaches. I don't have a BBQ, but I do have a little indoor electric grill that I use from time to time. It's almost ancient now, and I can't find the original anymore, but it was a T-Fal indoor grill. The closest I found online was this T-Fal by Emeril indoor grill. There is also another highly-rated and comparable one (slightly cheaper) called the Delonghi BG24 if any of you are interested in getting one. I find them super easy to clean and they take up far less space than a real BBQ! If you don't have a grill or BBQ don't panic! You can just use a large frying pan to make these. The grilled peach salsa can be done with canned peaches instead. Double the recipe for guests or leftovers! They keep well in the fridge for a couple of days. I haven't tried freezing them yet, so I can't say how that goes over. If I do, I'll update it here to let you know! 1) In a food processor, blend all ingredients until smooth, scraping down the sides of the bowl as needed. 2) Form 4-5 equal patties. Brush a grill or large frying pan with olive oil and grill patties 4-5 minutes on each side, until browned and firm. 1) Grill peach slices for 4-5 minutes on each side, until warmed and soften through. When cool enough to handle, dice peaches and mix with remaining salsa ingredients. Serve warm or chilled. Have you had Tofu Burgers before? What's your favourite meat-free burger? Simple tofu burger recipe! Will have to try it :) Pinned! I hope you enjoy them if you give them a try! Who can resist these healthy, delicious ingredients! I love the way you cook creatively with vegan and gluten free ingredients.The Chili-Lime Peach Salsa is awesome! 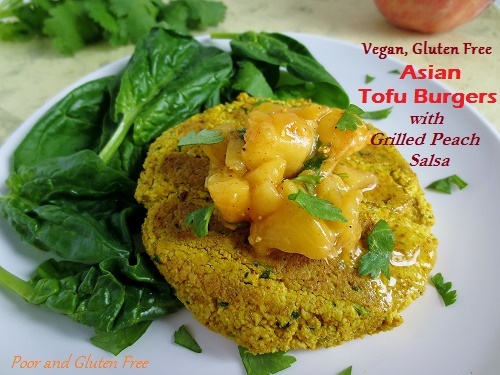 I can't wait to make this recipe at home.Thank you so much for sharing your healthy and delicious Asian Tofu Burgers with us at the Healthy Happy Green and Natural Party Blog Hop. I'm pinning and sharing.